Tri Sakti Diamond is one of the findings Diamonds that once shocked Indonesia. 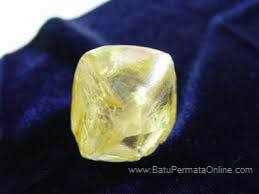 This diamond was found in one of the traditional Diamond mines in the Cempaka area, the Martapura area of South Borneo. Tri Sakti Diamonds found on August 26, 1965 were recorded to weigh 166.75 carats or 0.03375 Kg. The name Tri Sakti was presented by President Soekarno (the first president of the Republic of Indonesia). Diamonds that are approximately the size of a dove egg are worth about 10 billion at that time. Tri Sakti Diamond is the 7th largest diamond ranked world by weight (Sarinah magazine No. 119 of 1987). But in terms of color and scarcity Tri Sakti Diamond is still unrivaled. Actually Tri Sakti Diamond is not the largest Diamond ever found in traditional South Kalimantan mining. The discovery of a larger Diamond has ever occurred, but the uproar hasn't matched. Call it the 200 carat Diamond Shame Princess found in Antaruku, Pengaron Subdistrict, in 2008, or the smaller Diamond Galuh Cempaka 5 by 106 carats in Cempaka in 1850, and the 98 carat Galuh Pumpung which was also found in Cempaka in 1990. According to the news, Tri Sakti Diamond is so famous for its scarcity, color and various other advantages. 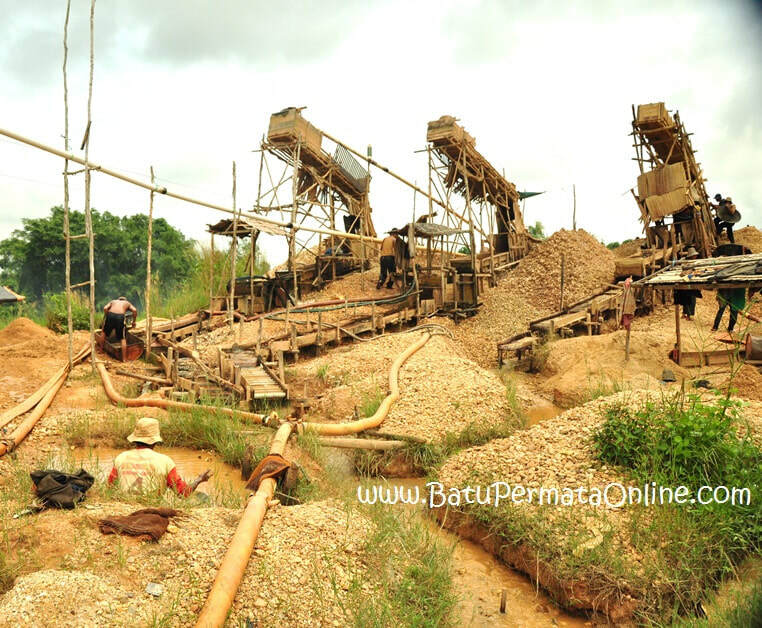 Now, some of the Diamond mining areas are tourist objects that are often visited by local and foreign tourists, especially the panning in the Cempaka area.